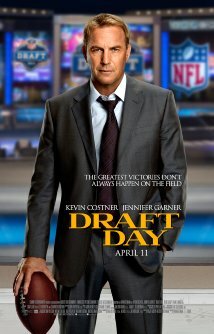 movie summary: The Cleveland Browns hold the #7 overall pick in the upcoming NFL draft, their manager Sonny Weaver Jr. (Kevin Costner) has to make a career decision on how to build his football team into a winner with this pick or gamble with the future in exchange for a quick fix solution with a tempting First Overall trade offer. If anyone follows the NFL, they will know that the Cleveland Browns were moved to Baltimore in 1995 where that team went on to become Super Bowl champions in 2001. It was a huge blow to the city of Cleveland because they were so close to a winner themselves only to see their hopes and dreams smashed. In the 1999 the Browns returned to Cleveland and the legacies that once graced the franchise were brought back to life. Sonny Weaver Sr. was one of the best coaches in franchise history before he was fired by his son, now General Manager Sonny Jr. In the two seasons since the coaching change the team has sucked and despite having a star quarterback, are near the bottom of the league in every statistical category. On draft day, Sonny Jr. has to make a career altering decision when he gets an early morning call from Seattle. Seattle Seahawks GM Tom Michaels (Patrick St. Esprit) calls and asks Sonny if he’s interested in a trade for the #1 pick, which would give the Browns the chance to draft Bo Callahan (Josh Pence), the best quarterback available that would set his franchise up for years to come. In exchange Michaels wants all Cleveland’s picks for the next three years. On his way into work, the owner of the Browns Anthony Molina (Frank Langella) wants Sonny to make a splash at the draft and produce a winner on the field. Sonny decides to do the deal which sends shock ways through out the Browns organization and the NFL. Head coach Penn (Denis Leary) is furious at what has just happened and threatens to quit over this disaster of a trade. The Browns already have a quarterback in Brian Drew (Tom Welling) who is perfect for his coaching style. Most of the scouts are over esctatic at the thought of Bo but once Brian finds out he’s being replaced as starting quarterback he erupts on Sonny. Sonny is not having a great day professionally and personally. There is only a few hours left before the draft and his secret girlfriend Ali (Jennifer Garner) is pissed at him for his actions of late involving their relationship. Sonny’s coaching staff is now pissed at him, his scouting department and owner are now happy, while the media questions his ability to run a team from under his late father’s legacy. The clear cut draft choice is Bo Callahan, but Sonny has had a few other prospects on his mind. Bo is the typical superstar kid from college that won everything that there was to win, meanwhile other players like Vontae Mack (Chadwick Boseman) and Ray Jennings (Arian Foster) play with passion and heart. Jennings’ father was one of the best players in the Browns history, so Sonny also has to think about a homegrown talent that could benefit the team. The pressure mounts on Sonny as people around him begin to question every move and thought he has had in the last few hours. A couple of rival general managers call him to inquire about trade possibilities for the #1 pick. Coach Penn even goes behind Sonny’s back to get some of his friends to call and offer up draft picks and lower calibre players in exchange for the top pick. The tension builds as Molina heads to New York City to be at the draft on the stage when they choose Bo. Under an hour to go until draft time, Sonny pulls Ali aside to talk about their relationship and football. She tells him to do what he thinks is best and to build a team that he likes and gives him the best chance to win. As the minutes click down to selection time, Sonny gets some information about Bo that makes him begin to question his character and the type of person he really is. When the commionser walks on stage in New York to announce that Cleveland has ten minutes to make their pick, all the eyes of the world turn to Sonny who has to make the decision of his life that will either make him a hero or lose him his job as the scapegoat of a once proud football organization. 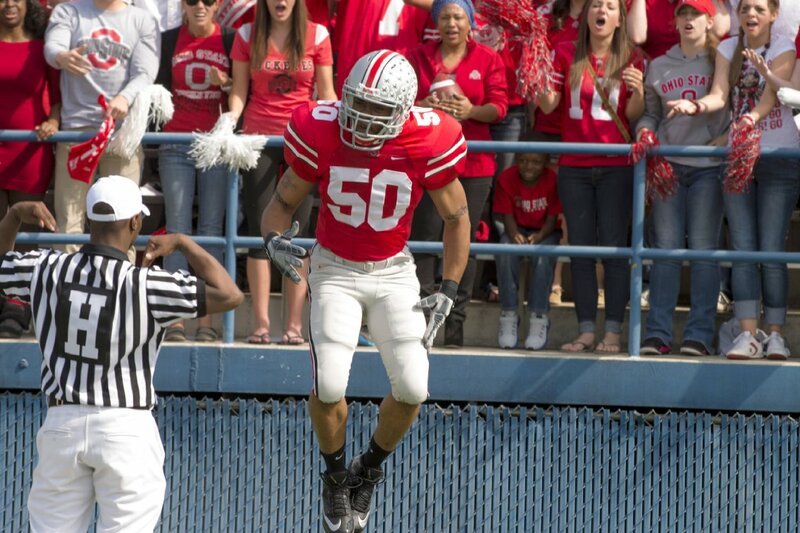 my thoughts: When the trailer for Draft Day came out I got pretty excited to see this film. I love sports and although I don’t follow the NFL as much as everyone else (including my mom who never misses a New England Patriots game) this movie had potential to be great. Draft Day did not disappoint in any aspect even though there were many clues through out the film of how the ending would play out. The drama unfolds for 13 hours leading up to the draft and makes the two hours you’re sitting at the theatre breeze by. You get so caught up on what’s going with all the major characters that you don’t have time to criticize the acting, storyline, or ending. Kevin Costner has returned to the big screen in a few films earlier this year but Draft Day has to be by far one of his best roles in years. The thing I admire most about his character is his desire to build a team with his mind, heart, and gut. He doesn’t want to listen to the know it all pundits who think they know the game better then he does and he doesn’t want to continue making choices his dad would have made. He wants to be his own man and leave his personal mark on this team, whether it is for better or worse. He manages to play hardball with a few other NFL GM’s when the clock is winding down despite the fact his family life is very chaotic and his love life is about complicate his professional life. Costner makes many decisions in the 13 hours that are head scratchers but he makes up for them with other choices that you want to see him make from the beginning of the movie. I won’t tell you who he picks or what he gives up but it is probably one of the most entertaining NFL drafts you’d ever see real or not. The supporting cast led by Denis Leary and Jennifer Garner bring both problems and solutions into Costner’s life. Leary is the Super Bowl winning coach who wants certain players on his team and is willing to walk away if Costner drops the ball and does a major retooling of the team. He creates more headaches then anyone else while his secret girlfriend Garner is the team’s salary cap manager who must piece together all the moves Costner makes under the cap. Other people with significant roles include Frank Langella, Patrick St. Esprit, Chadwick Boseman, Josh Pence, Ellen Burstyn, and Tom Welling. People are undecided on Draft Day with some saying it’s a fantastic movie and others calling it a lame predictable movie that doesn’t provide anything we haven’t seen before. Some people are comparing it to Moneyball, which I thought was good but not great. Draft Day is no where near the same kind of movie because it takes place in one day, one day to make decisions that will impact seasons to come. Moneyball is a movie about a GM who makes decisions for an entire season that produces marginal winning results. Draft Day will be a win in the hearts of many football fans who either love or hate their team’s executive members depending on what they have done for the team on any given day. Most fans don’t have nerve or the balls to be in a general manager position and make these kind decisions when the clock hits zero. My advice to anyone who loves the NFL, football, or sports in general go buy a ticket to Draft Day this weekend because it is worth the full price admission. It was a lot better than I expected, which may not be saying much, but it just goes to show you when you have a stacked-cast, working on some fine material. Good review Ryan. Thanks Dan. I wasn’t expecting this to be a great movie and I was wrong, it was fantastic. I was amazed at the acting and story which was well written. Very thorough, I agree with most of what you have said also. Costner was great and if you are a sports fan, you’d be missing a good behind the scenes type story that rarely gets as much attention as a film with the big game at the end. Thanks for the comment! I love sports movies and it was great to see the drama that unfolds behind the scenes during the offseason. It was refreshing to not expect a game to happen and everyone walks away a hero at the end.